Regular twice-yearly professional cleanings and diagnostic exams from Dr. Nancy E. Gill, Dr. Dallas D. Kenson, and our team provide the foundation for good oral health. Beyond removing tartar and stains from your teeth, our diagnostic abilities can catch oral health issues such as gingivitis and decay before they develop into larger problems. Plus, every exam checks for oral cancer. What Does my dental exam Involve? There’s a reason we pull on your tongue, push on your glands below your jawline, and use picks to probe areas on your molars — it’s all part of catching oral health problems early. Here’s what we cover with our exams. Diagnostic dental X-rays — X-rays are crucial in detecting decay, possible tumors, cysts, and bone loss in the patient. X-rays also determine the position of each tooth and its root. We employ the latest technology to keep our diagnostic options at the forefront of the industry (see section below). Oral cancer screening — We check your gums, tissues, throat, tongue, lips, face, and neck for any signs of oral cancer. The number of patients with oral cancer as a result of the human papillomavirus (HPV) has been growing. Evaluation of gum disease — We check the gums as well as the bone surrounding the teeth for signs of periodontal disease. Examination of dental decay — We will examine every tooth surface for decay. Examination of existing dental restorations — We will check your existing dental restorations — fillings, crowns, bridges, veneers, etc. — for stability and wear. How is a professional cleaning different than home hygiene? Calculus (tartar) removal — Calculus builds when plaque calcifies and bonds to your teeth. Drs. Gill and Kenson will remove this during your cleaning. It is commonly found above and below the gum line and can’t be removed by tooth brushing alone. Special dental instruments are needed to completely remove tartar, breaking the bond it has formed on the tooth surface. Plaque removal — Plaque is a nearly invisible, sticky substance that forms on the teeth. Along with saliva and food debris, bacteria are found in plaque. Not removing plaque, and its bacteria, leads to gum inflammation, tooth decay, and periodontal disease. Teeth polishing —This final step polishes the teeth, removing many stains and any remaining plaque remnants. D ental X-rays are beneficial in finding cavities. A panorex X-ray, or panoramic X-ray, provides a full view of the upper and lower jaws, teeth, temporomandibular (TM) joints, and sinuses. This panorex X-ray shows more of a patient’s oral cavity than a traditional X-ray can. X-rays can be used to reveal cysts, tumors, bone irregularities, wisdom teeth and more. And, unlike with a traditional X-ray, the mandibular nerve, which is the nerve going to the lower lip, is fully visualized with a panorex X-ray. The panorex X-ray can also sometimes be able to see calcifications of the carotid artery. The panorex X-ray machine makes a complete half circle from ear to ear, producing a complete two-dimensional representation of the entire oral cavity. This panoramic view is accomplished by rotating the X-ray film around the patient’s head for approximately twelve seconds. Less radiation is produced by a panorex X-ray than by a traditional X-ray, and the actual taking of the panorex X-ray is more comfortable for the patient. In medicine, 3-D imaging is the process used to create images of the human body and its internal organs. This type of procedure requires a patient to sit or stand still while a machine circles the patient to record the images. Different techniques are used depending on the part of the body being examined and what variety of image is needed. For dentistry, it is used to check the temporomandibular joint (TMJ) and the patency of the airway. It can also be used to check for tumor or cystic formation in the jaw, as well as locating anatomical landmarks when placing implants. How often should I have these professional cleanings and exams? Patients should see us every six months for professional cleanings and diagnostic exams. This isn’t an arbitrary timeline. Six months is about the time it takes for plaque to turn into tartar to a degree that it threatens to begin to push under the gums. When this happens your gums become irritated, a condition called gingivitis. If we don’t address the tartar at this point, your gums are heading toward an unhappy future — gum disease. By seeing us every six months, your chances of developing gum disease are dramatically lowered. Your teeth remain strong and healthy through a process known as remineralization, where minerals are added to your tooth enamel. The reverse, demineralization, occurs when acids formed from the bacteria in plaque and sugars in the mouth attack the enamel. Fluoride has been proven in numerous large research studies to help prevent tooth decay by making the tooth enamel more resistant to those acids. This is especially important for children with developing teeth, but fluoride treatments can also help adults whose teeth are prone to developing cavities. We provide concentrated fluoride treatments. We apply a fluoride varnish to the teeth or place a tray with fluoride gel on the teeth for several minutes. Afterwards, patients need to not rinse their mouth, or eat or drink anything for 30 minutes. This allows the teeth to absorb the fluoride. Dr. Nancy Gill encourages oral therapy for the proper growth and development of nasal breathing in children. Watch as Dr. Gill and her daughter demonstrate some at-home techniques! How do your exams check for oral cancer? This is another reason why twice-yearly exams are important. Drs. Gill and Kenson can spot any signs of oral cancer early, and that’s the key to successfully treating, and beating, oral cancer. To schedule an appointment for a diagnostic exam or teeth cleanings, call our office at (303) 277-9600. 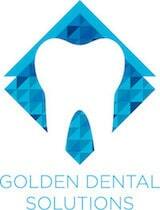 Nancy E. Gill, DDS and Dr. Dallas Kenson serve Denver, Golden, and surrounding areas in Colorado.